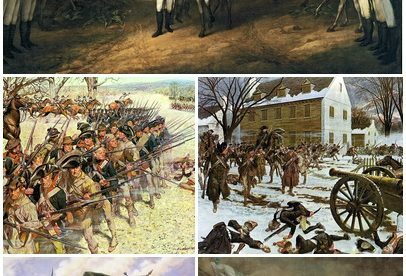 On April 18, 1775, 700 troops were sent to confiscate militia ordnance stored at Concord. Fighting broke out, forcing the regulars to conduct a fighting withdrawal to Boston. Overnight, the local militia converged on and laid siege to Boston. On March 25, 4,500 British reinforcements arrived with generals William Howe, John Burgoyne, and Henry Clinton. The British seized the Charlestown peninsula on June 17 after a costly frontal assault, leading Howe to replace Gage. Many senior officers were dismayed at the attack, which had gained them little, while Gage wrote to London stressing the need for a large army to suppress the revolt. On July 3, George Washington took command of the Continental Army besieging Boston. Howe made no effort to attack, much to Washington’s surprise. A plan was rejected to assault the city, and the Americans instead fortified Dorchester Heights in early March 1776 with heavy artillery captured from a raid on Fort Ticonderoga. The British were permitted to withdraw unmolested on March 17, and they sailed to Halifax, Nova Scotia. Washington then moved his army to New York.